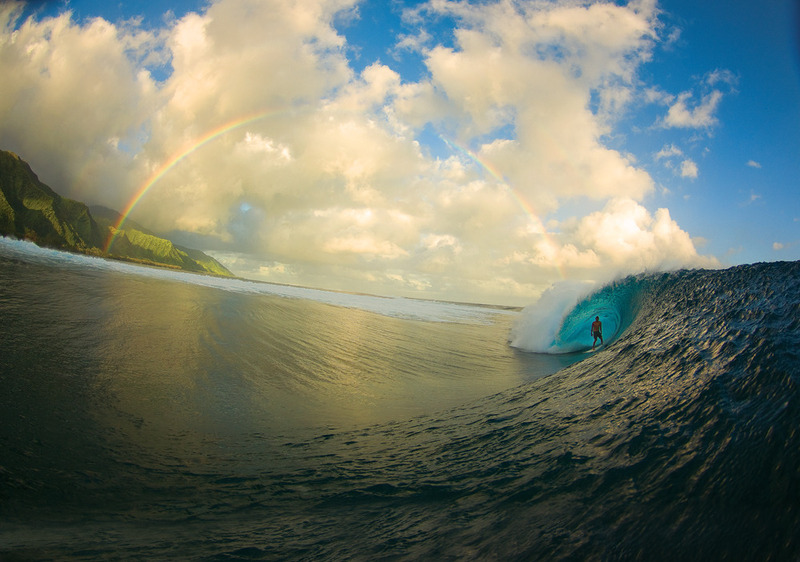 2011 was certainly a good year to be in Tahiti. One of the best water photographers in the biz, Zak Noyle, left his home island of Oahu with a small crew bound for Teahupoo. Talent is great when it comes to photography, but a little bit of luck never hurts either. Nature provided for this shot with a perfect peeling tube ridden by Christian Redongo, and the kind of rainbow that postcards are made of. Turning Points in Modern Aquaculture - this 15-min video was produced by the Aquaculture Service of the FAO Fisheries and Aquaculture Department for the Global Conference on Aquaculture 2010 and the Fifth session of the COFI Sub-Committtee on Aquaculture held in Phuket, Thailand in October 2010. With film clips taken from various countries and photos contributed by many - depicting the range of people, species, environments, systems, practices as well as opportunities and challenges facing aquaculture, this video takes viewers to a historical journey to the major turning points in aquaculture development since the early and first aquaculture practice by a Chinese named Fan Li two millennia ago. These four watersheds span 25 years from the Kyoto Strategy on Aquaculture Development (1976), to the establishment of the Code of Conduct for Responsible Fisheries (1995) through to The Bangkok Declaration and Strategy for Aquaculture (2000) and immediately followed by the creation of the Committee on Fisheries Sub-Committee on Aquaculture (2001) - enough to nourish its development through the next 25 so that aquaculture, now the fastest growing food producing sector can serve the people better, and communities and nations continue to prosper. Of all the famous places scattered across an offshore fishing chart, none rival the history and reputation of the shoal that lies about 20 nautical miles southeast of Ocean City's inlet and known as the "Jackspot." Surrounded by 85-115 feet of water and rising to within 50-feet of the surface, the depth changes at the Jackspot create increased current flow and upwellings that attract both predator and prey of all sizes and species. These days, when billfish are thought of as mostly canyon fish, it's probably hard to comprehend that the Jackspot is a big reason why Ocean City is known as the "White Marlin Capital of the World." But back in the '50s and '60s, it was the place to go if you wanted to tangle with a white or blue marlin. The Jackspot was the billfish hot-spot for a lot of years, but by the '70s its reputation shifted to becoming the place to go to consistently troll-up a catch of big bluefish. Though marlin were still caught on the Jackspot, hooking one became a tough thing to do with so many schools of hungry blues waiting to swarm on and shred every marlin bait that hit the water. That prompted bill-fishermen to push farther offshore and leave the Jackspot in their wake as they looked for water with hungry marlin and less bluefish. Even though it was no longer a destination for billfish, the Jackspot was far from being down for the count. Bluefish remained strong throughout the '80s and '90s, but anglers found that if they trolled a little faster they could avoid a few of them and have a decent chance of hooking into a tuna, dolphin, bonito, or king mackerel. For a lot of years, the "Spot" held the reputation for being one of the hottest places to be on the East Coast to hook a tuna and boats routeenly traveled all the way from Indian River and Cape May to get in on the fun. During the '90s, when chunking was king, it would not be uncommon to see as many as 200 boats anchored on the shoal trying to land a limit of blue and yellowfin tuna. Even after the mother-lode of tuna shifted their residence to the "Hotdog" and "Hambone," the Jackspot continued to provide anglers with consistent summertime action with king mackerel, bonito, bluefish, false albacore, and dolphin. Recently, the king mackerel and big bluefish have been scarce, but the bonito and dolphin have continued to keep fishermen happy, and in September the false albacore have been showing up on the shoal and making for some of the best light tackle action on the East Coast. As if all that wasn't enough, as a part of the Ocean City Reef Foundation's network of artificial reefs the Jackspot has been the recipient of many barge loads of subway cars and other reef building material making it a destination point for bottom fishing as well. Maybe, compared to some points in history, the action on the Jackspot has been rather pale lately, and consequently there haven't been too many anglers fishing it. But in just the few days I fished there last season we caught, sea bass, jacks, bonito, false albacore, sharks, bluefin tuna, dolphin and bluefish, and I'm looking forward to giving the old shoal a good working over again this year. While I don't expect we'll catch any marlin, I'm sure we'll find plenty of "something" prowling about that will make for some great fishing and pleasant memories of the good old days! Little by little, Hawaii’s iconic beaches are disappearing. Most beaches on the state’s three largest islands are eroding, and the erosion is likely to accelerate as sea levels rise, the United States Geological Survey is reporting. Though average erosion rates are relatively low — perhaps a few inches per year — they range up to several feet per year and are highly variable from island to island and within each island, agency scientists say. The report says that over the last century, about 9 percent of the sandy coast on the islands of Hawaii, Oahu and Maui has vanished. That’s almost 14 miles of beach. 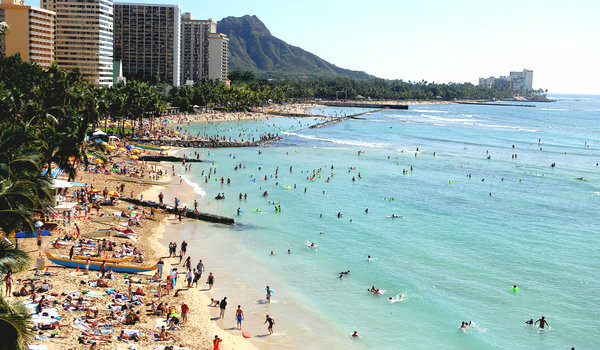 Beaches like Waikiki face accelerating erosion, a new report says. The findings have important implications for public safety, the state’s multibillion-dollar tourism economy and the way of life Hawaiians treasure, said Charles H. Fletcher, who led the work for the agency. “This is a serious problem,” said Dr. Fletcher, a geologist at the University of Hawaii at Manoa. Sea level does not rise uniformly around the world, and so far, Dr. Fletcher and other geologists said in interviews, Hawaii has escaped some of the rise that has occurred elsewhere as earth’s climate warms. But that situation is unlikely to continue, the report says. Hawaii’s geological history also leaves it unusually vulnerable. The islands formed, one by one, as a tectonic plate carrying them moved to the northwest over a “hot spot,” where a plume of molten lava pushes through the seafloor. But once the slow plate movement carries an island away from the hot spot, its volcanic material begins to compress, causing the island to start to sink, worsening its erosion prospects. The new analysis, “National Assessment of Shoreline Change: Historical Shoreline Change in the Hawaiian Islands,” is the latest in a series of reports the geological survey has produced for the Atlantic and Gulf Coasts, California and some of Alaska. Over all, their findings are similar: “They all show net erosion to varying degrees,” said Asbury H. Sallenger Jr., a coastal scientist for the agency who leads the work. S. Jeffress Williams, another scientist with the agency, said researchers had over the years produced a number of studies of Hawaii’s shorelines, using various methods of data collection and analysis. “Many were well done, but it is sort of mixing apples and oranges,” he said, referring to the need to adopt standard study methods. The new work aims to allow researchers to compare data from states around the country. And though it seems self-evident that erosion must be tied to rising seas, “you have to document it,” Mr. Williams said. But that is not ordinarily the case in Hawaii, where the typical response to erosion has been to protect buildings with sea walls and other coastal armor. “It’s the default management tool,” Dr. Fletcher said. But in Hawaii, as nearly everywhere else this kind of armor has been tried, it results in the degradation or even loss of the beach, as rising water eventually meets the wall, drowning the beach. But the most common alternative approach, replenishing beaches with pumped-in sand, is difficult in Hawaii, where good-quality sand can cost 10 times as much as it does on the East Coast, Mr. Williams said. Dr. Fletcher said he believes the answer lies in encouraging people to move buildings and other infrastructure away from the shoreline, a strategy coastal scientists call retreat. “If we want beaches we have to retreat from the ocean,” he said. Dr. Sallenger said he hoped the work in Hawaii and elsewhere would help policy makers. Louis Boutan was the first underwater photographer, who took pictures at a depth of 164 feet in 1893. Above — a self-portrait depicting Boutan in a full diving suit, airlines and metal helmet — was his first successful photo, and it offers us what a cumbersome chore it would have been to dive (and of course take pictures underwater) in those days. Boutan, who was trained as a marine zoologist, conducted most of his underwater photo-experiments in 1890s at the Arago Marine Laboratory at Banyuls-sur-Mer, on France’s Mediterranean coast. He identified many problems of contemporary cameras that rendered them useless in extreme conditions. He tried encasing his cameras in strongboxes (including barrels); he tried completely flooding the interior of cameras. Lastly, he built a watertight massive equipment that was able to withstand pressure (on land, three men were needed to lift it), and battery-powered underwater arc lights, he was able to take photographie sous-marine. But still, there was no high speed film and his exposures lasted 30 minutes. Boutan had to remain underwater for sometimes as long as three hours and suffered nitrogen narcosis. Eventually, Boutan used a magnesium powder “flash” that greatly hastened phototaking. As surf houses go, Jack O'Neill's is pretty legendary. Perched conspicuously on a cliff overlooking Monterey Bay, it's the only building occupying the half-mile of eroding sandstone bluffs that run along Santa Cruz's east side. Inside, the walls are covered with black-and-white photos of hot air balloons and unconventional seacraft. Telescopes compete with blueprints for floor space. Long ago, the main stairwell was cleared to make room for a trampoline. The bottom floor boasts a submarine steel door in place of a wooden one. "This is my pad," the 89-year-old O'Neill, founder of the O'Neill surf brand, says proudly as he gazes through the panoramic window at the waves and surfers below. While it may seem like an obvious point these days, every surfer is wearing a wetsuit. Sixty years ago, O'Neill introduced a prototype of a wetsuit and opened one of the world's first surf shops along Ocean Beach in San Francisco. 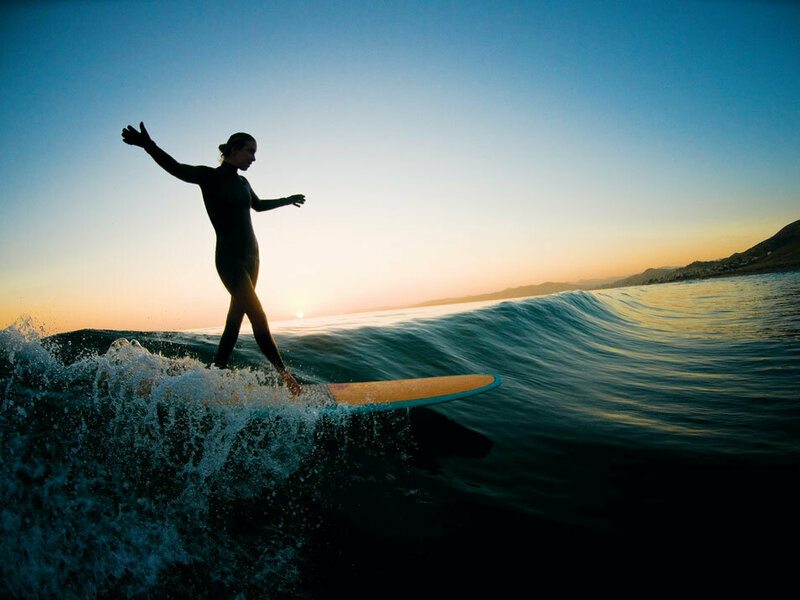 In the intervening years, the wetsuit has helped spread surfing from the balmy waters of Polynesia and Southern California to nearly every ocean-bearing corner of the world. As the sport evolved from a hobby popular among layabouts and eccentrics into a global industry, O'Neill became its primary spokesman - and one of its most enduring legends. Yet while his innovations, business acumen and adventurer's pedigree have made him an international figure in the surfing world, he seems most content being home close to his beloved Pacific. "I'm not much into business, I'm into the ocean," he says as he hoists his sandal-clad feet onto an ottoman. Settling in San Francisco after a stint as a pilot in the Naval Air Corps in the '40s, O'Neill joined a small crew of men who bodysurfed the bitterly cold waters off Ocean Beach, a pastime that he says provided relief from a claustrophobic job downtown that would get him "all screwed up" with unspent energy. With water temperatures in the low 50s year-round, he and his friends used wool jerseys, bonfires, even liquor to stay warm. Turns as a taxi driver, fisherman, lifeguard, longshoreman, traveling salesman and draftsman left him still searching for a niche. He found his mark when friend and UC School of Pharmacy (now UCSF) grad Harry Hind suggested that neoprene rubber would be a great insulator against the cold. At the time, a UC Berkeley engineer and others were tinkering with neoprene as an insulator for deep-sea diving. Much in the way Steve Jobs appropriated the computer mouse from Xerox, O'Neill found a way to translate the emerging technology into a product people would clamor for. In 1952, within months of introducing his experimental vests, he opened the surf shop in a garage off the Great Highway (he trademarked the term "surf shop" in 1962, but never enforced it). His engineer's eye created the most coveted designs on the market. By the time the wetsuit became a must-have for an exploding population of surfers, O'Neill was poised for a windfall. Within the decade he'd upgrade to a bigger space in Santa Cruz. Within two decades, the O'Neill brand would be one of the most recognizable surfing emblems in the world. No longer impeded by geography or season, surfing would eventually become a $6-billion-a-year industry. But when he moved to Santa Cruz in 1959, the town was an isolated, rural outpost. It was so wild that the O'Neill family had a pet seal that would clamber up to their doorstep for food. "I definitely stood out," O'Neill says. "At the time surfers were thought of as a bunch of bums. I had a surfer friend who wanted to work for the police and when he went to the station the chief took one look at the surfboard on his car and said, 'Policemen don't surf.' "
O'Neill gradually changed that perception. "Jack decided he had to become a standup member of the community," says his son Pat, who has been the company's CEO and president for 25 years. "He's always got along really well with people from all walks of life. As a result he became friends with people from all over the social and political spectrum. He had friends that were wealthy and powerful in Santa Cruz and people who lived in cars." Although O'Neill is mainly associated with surfing, he was an adventurer in other ways. An accomplished sailor and aviator, he was among the first to fly hot air balloons recreationally, and he invented the sandsailer, a sailboat on wheels that skirts along the sand. Often he'd use personal quirks to help promote his business. In 1972, he lost an eye surfing off Santa Cruz, forcing him to wear a patch. The patch has since become something of a trademark, forever associated with the O'Neill brand. "Of all the things Jack is known for, I think his genius for marketing and promoting stood out," says surfing historian Matt Warshaw. " In the very first issue of Surfer (magazine), O'Neill had the best logo. He used to drop into surf contests in his bright yellow hot air balloon. As the cult of his personality grew, so did his businesses. Besides selling wetsuits, he was one of the first to blow foam for surfboards instead of using balsa wood. He opened an 8,400-square-foot yacht center in Santa Cruz harbor, and even helped salvage sunken ships. Meanwhile he and wife Marjorie raised six children before she died in 1973. Drew Kampion, who has known O'Neill for more than 40 years and recently published a biography of him, says, "His life was just integrated. He brought together all these vectors - his family, his passion for the ocean, for business, his autodidactic side - into this well of self-sustaining energy. He's just uncompromising when it comes to what he loves." Today O'Neill's business employs 130 people in the United States, and Logo International, the Dutch company that purchased the trademark in 2007, has licensing agreements to sell apparel and a line of snow gear around the world. The Santa Cruz wetsuit enterprise retains a leading market share - an estimated 60 percent - of international wetsuit sales. Since assuming a reduced role in the company after having a stroke in 2005, O'Neill has pursued projects like the O'Neill Sea Odyssey program, using his 65-foot research catamaran to take kids out on Monterey Bay and teach them about ocean preservation. He has also helped foster recognition for his beloved Santa Cruz, which recently was named a World Surfing Reserve, one of only four spots in the world so designated. While it carries no legal weight, being named a reserve helps guard the city's 23 surf spots against threats from pollution and coastal development. As he is prone to do, O'Neill turns philosophical when asked about the sea and what he calls the "healing powers" of the ocean. "I've felt this in my own life, but there are also researchers interested in studying the way ocean therapy affects the brain and its pathways," he says. "It's proved therapeutic for people with physical and mental disabilities, for veterans returning from war, for everyone. I think in the next 30 years we'll see the potential of that power become fully realized." It's that kind of foresight that has made him a hero to ocean-minded people like 68-year-old Santa Cruz surf star Jim Phillips. Phillips was just a kid when O'Neill hired him to glass surfboards in his shop. "You're often disappointed by your idols," Phillips says. "But, you know, I never have been with Jack." Pierre FROLLA, world champion-freediver, danse at 30 meters in one breath.